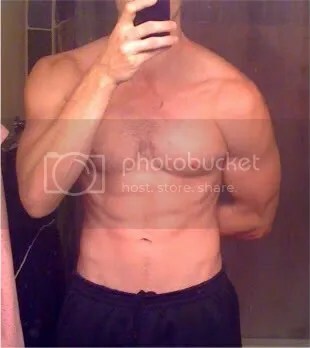 I’m naturally a pretty lean gain, but in an ectomorphic “skinny-fat” sort of way. When I first got “serious” about strength training, I was 18 years old and went from the low 160’s to the mid 180’s in about 4 months time. Everyone noticed, especially people I hadn’t seen in months. Unfortunately, I fell victim to thinking I could eat my way up to larger and larger muscles and ended up getting quite fat. In the 9 years that have followed I have gained lots of muscle (and lots of fat); I’ve also lost a lot of fat (and a lot of muscle). Thanks to a long summer vacation, I’m now the leanest I’ve ever been at ~9% bodyfat. It’s time to put to the test a cyclic mass gain system by way of Kelly Baggett. If you don’t know who Kelly Baggett is, check out his bio here. 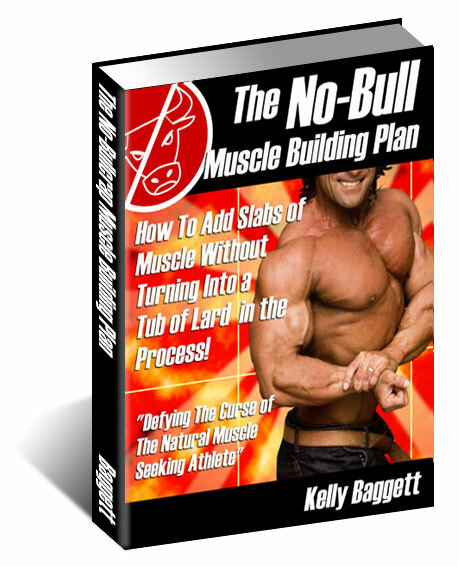 Mr. Baggett’s years of experience being a high level athlete and constant experimenter have led him to the creation of his “No Bull Muscle Building Plan.” It’s not the first time people have tried to put a cyclic diet together to maximize muscle and minimize fat gain, but Mr. Baggett’s program program takes this one step further by matching training to the phases (i.e. high tension hypertrophy encouraging workouts whilst overeating and glycogen depleting, feeder workouts during the undereating phase). While the main program is a 14 day cycle, I’m going to be doing his modified 7 day program that he references here. This simply works better with my schedule. The crux of gaining muscle is eating. Paleo eating has made it so easy for me to lose fat. Not because of magic, but because protein, fat, and fiber blunt appetite like crazy. This is still how I eat, but in order to drive up my calories, I’m bringing in nature’s grow-all: milk. I’m adding 1/2 gallon a milk a day to my daily intake to put me at 20x body weight caloric intake. This number tends to be a little higher on Saturday, but I’ll get to that in a minute. Also note that I’m choosing liquid to make it easy enough to get the calories down, not the least of which is because I still practice intermittent fasting in the Leangains fashion, typically in the 14 to 15 hour range. This part is easy: by removing the milk and my usual seed intake from my diet, I am able to cut my carbs down to ~100g and my calories down to ~12x body weight. By removing the calorically dense liquid and seeds, I don’t feel hungry and still get plenty of plant matter and essential amino/fatty acids. Again, intermittent fasting will be used on these days, to the tune of 17-18 hours. As Kelly points out, the vast majority of hypertrophy it stimulated my tension, so my training will start with what Matt Perryman outlines is this post about Doug Hepburn’s training methods. Heavy singles on most movements until I go stale, followed by heavy triples until I go stale, followed by my own “C” routine: the Blitz. This is where I take Kelly’s 14 day program (buy the book) and match it to a super high volume/high intensity training routine that really can’t be kept up for more than 12 days. The second week would include negatives and hyper-stretching, basically making good on the promises of ABCDE before Bill Phillips got his hands on it. During the diet phase, I’ll do some high repetition depletion work one day, followed by fractal, persistent hunting in the park with the dogs the following day. Wednesday: At least BW x 20 calories, including some non-paleo food. This is where my 10% foods come into play. Heavy weight training. Thursday: BW x 20 calories, rest. Friday: BW x 20 calories, heavy weight training. Saturday: BW x 20 calories, heavy weight training. Sunday: BW x 20 calories, rest. Monday: BW x 12 calories, low carbs, depletion work. I set up a circuit of 8 exercises and hit each one for 12 – 20 reps. This workout lasts at least 45 minutes and I go until I feel sufficiently bonked. It’s about burning calories and glycogen (though you could argue that it’s a feeder workout). Since I’m trying to gain muscle, I’ll allow for a slightly lower refeed number to be balanced by the next 4 days of overeating. In other words, I’m not worried about hitting the numbers just perfect, only about eating enough. During the first 2 weeks of the switch from Workout A to Workout B, I’ll drop calories down to ~ maintenance levels (i.e. remove the milk) to give digestion a break and increase insulin sensitivity and even drop some fat. Kelly mentions this in the article I referenced above. I keep this simple: a multivitamin, 5000iu/day of D3, 1mg/day of K2, 6 grams fish oil, 5 grams creatine. Nothing lodged in esoterica. During the blitz I’ll re-load creatine and perhaps cell volumizers to maximize the anabolic signaling/hyperstretching but we’ll see. 7/24/2010 Note: The above is subject to change. As I notice certain patterns born from the workouts, I’ll adjust the routines and split. However, they’ll always start heavy, end with somewhat high rep support, and have some sort of auto-regulating component. 6% bodyfat (according to this calculator), 9% according to 3 site Jackson Pollock. The ultimate goal is to build up to 185lbs at 10-11% bodyfat in 12 months time. Considering I lost some lean mass on my vacation, there will be a muscle memory component that makes the 17 pound gap much less staggering for 1 year’s time. At this weight, I’ll still be “light” for my height, but very muscular in bouldering circles. I suspect the accompanying strength increases will push my vertical leap up to 40″, as it’s been stuck in the 34 – 36 inch range depending on how much plyo work I’m performing. It’s also of note that I like bouldering and climbing, so I may find 185 to be too heavy on the rock. I doubt it, since I’m trading fat for muscle (vs. when I first started climbing) but I could settle at 180lbs in high single digit bodyfat. We’ll see. Also note that I’ll be having a few DEXA scans performed to as to have a “Gold Standard” to track against my simple measures. This will also allow me to create an algorhythm to accurately predict the difference between calipers, anthropomorphic measures, and the DEXA, giving a “true” bodyfat no matter my option. I suspect this post will get some updates when I have my first DEXA numbers, but for now that about covers it. It’s all about executing from here on. I hope you’ll learn something! After some review and playing around, it was quite absent minded of me to put my low days near the end of the week. Here in Austin, the weekend starts on Wednesday, so it behooves my social life to have higher calorie days on Thursday and Friday. That is reflected above, as is a “rest” period during changes in routine. Very interesting post. Do you see any reason why this wouldn’t work for a woman? I like to ask because diets for gaining muscle seem to pain women with the same brush as men. Yet, as a woman, I don’t see the progress like the guys do despite better dietary discipline and work intensity. I don’t expect to grow at the same rate, but pose the question to you looking for an honest opinion. Thanks Tyler! Welcome back. I don’t see any reason why this wouldn’t work for a woman, though understanding that women tend to store bodyfat more aggressively, I wouldn’t put the caloric surplus of deficit quite is high/low. Perhaps 14x deficit, 18x surplus being extra sure to keep most of the carbs in the few hours post workout due to nutrient partitioning…that’s where I’d start. Fantastic! Looks like a well-studied, rock-solid plan. Will you be training with a partner during the heavy weight training sessions? Just curious as to how you manage that aspect of training (alone vs with a partner). I don’t have a training partner, Keith. Mark and I are rarely able to get our schedules to line up for training. There are blasts during the year where we’re able to do it and they’re extra intense test-fests…perhaps during the blitz. looks like a well thought-out plan. I look forward to following along. Since you will be using milk as your surplus calories, will just the undereating phase be ZC then? No this will not be a ZC experiment. I plan to do something like that this coming winter. Grass-fed raw/unpasteurized dairy, or HEB variety? Might Gironda shakes possibly make an appearance? Also, do you take creatine with a carb shuttle, or stick to straight-up Kosher? Oh, and what brand, by the way?